It's very intuitive and easy to use. If you're familiar with any kind of site building or email management software, this is easy to use. The WYSIWYGs are some of the best I've worked with. Aside from the product, the support and launch team were top notch! I wish it stored data so we did not have to go into the Raisers Edge database view and plug-in to retrieve information. You can make your community as simple or as in depth as you need. You can target specific audiences very easily or give everyone the same messages. It also works well for users who don't care to create a log in, they can still look at the site and sign up for events and such. It has made our emails cleaner and more professional in appearance. Our event registration is a lot easier with this software. "Highly functional add-on for nonprofits managing events"
Automated and seamless integration with Raiser's Edge, which is also a blackbaud product, is the most important feature. The user interface continues to be fairly clunky, despite ongoing updates and improvements. On the customer end, forms need more customization options, especially with font size and page placement. Consider whether the size of your operation has truly outgrown your existing solutions before making an investment in NetCommunity. The switch and integration takes time. However, the ROI for a medium or large organization will likely be high if you manage events and have a robust website with a lot of giving options, events, etc. 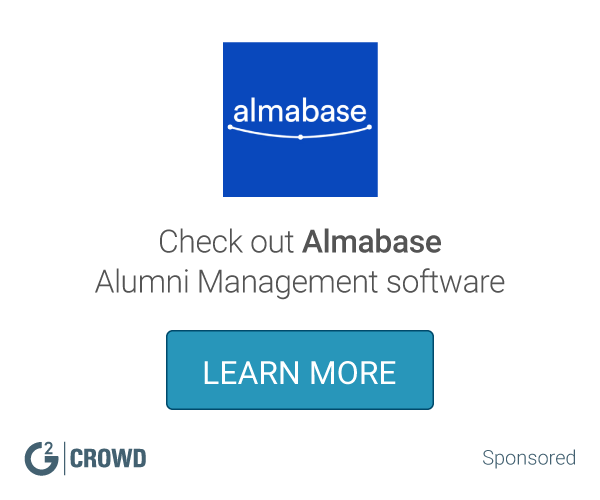 The other thing to consider for higher ed is creating the alumni directory in NetCommunity - one of the best reasons for schools of any size to use NetCommunity. A better process for taking gifts online, that is integrated with Raiser's Edge, and event registrations. The benefits have been in increasing accuracy and decreasing staff time spent on data entry and validation. An integrated communications solution for digital communication and outreach. Ability to see what email communications were received by any given constituent directly from their constituent record has allowed us to achieve greater data accuracy. "Integration with Raiser's Edge, but it's not user-friendly"
NetCommunity is a Blackbaud product, so if your organization uses Raiser's Edge then it will work with your fundraising database. NetCommunity donations, at least at our organization, have to be imported by a staff member into Raiser's Edge. So even with integration there is a manual component, which means there's a delay between event donations being made and the donation information showing up in Raiser's Edge. Also, we have many duplicate accounts being created because donors may use a different variation of their name and address (home vs. work) when they make an event-related donation. We have noticed improvements with NetCommunity in the last year. These may be based on the version and package we have from Blackbaud. The main improvement is that we can now see who the donor was sponsoring/supporting in the record from NetCommunity. Previously, we had to ask the staffperson who was the "keeper" of the NetCommunity account to look up this information. Having event donations included in Raiser's Edge helps us understand our donors better. We can now see more personal connections between donors (family members, friends, coworkers, etc.). It also helps us recruit supporters who may be interested in participating in future events, or may be interested in supporting our organization as an annual or major gift donor. Finally, it gives us more insight into the success of our events. "Comparatively limited functionality and not user-friendly"
The integration with Blackbaud Raiser's Edge is the biggest selling point. Raiser's Edge is Blackbaud's core product and the limited functionality of all of their other products, including Financial Edge and NetCommunity, demonstrates how much of an afterthought they are. 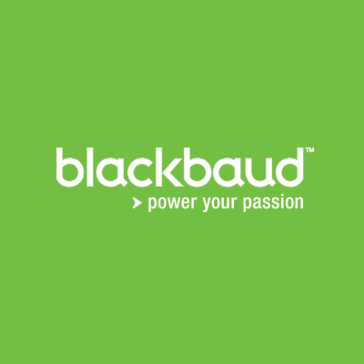 Blackbaud has a captive market that is almost held hostage to their other products, as integration with other products is difficult if not impossible. We would prefer to use Mail Chimp or Constant Contact and WordPress, which are much more user-friendly (we feel that you need to be an expert to get the most out of NetCommunity so we are very dependent on consultants, where we haven't felt that way in our past experience with other platforms) but the desire to have event registrations, email lists, and the portal connect with our database outweighs that. Speak to the technical team to confirm all of the promises from the sales team on functionality. Consider the level of website/email/coding expertise your current team has and what you will expect from future staff as well as how important it is to you to have integration with RE. If expertise is minimal and it is not very important to be integrated with RE, consider going with a different provider. I don't feel that we are solving any business problems. We use NetCommunity only because it connects to the database, which gives us more rich data within our database/records but if we had another option we would do that instead. "The advancement of marketing to non profit"
I think this software was absolutely remarkable in terms of raising awareness in whatever motive you have. I personally used this with an environmental NGO and helped prove success in various campaigns and marketing strategies used. I really enjoyed the raiser edge integration. I disliked the email marketing aspect, as it tends to overload on spam sometimes and sends it to the wrong audience. I wish there was a more specific audience driven network which allowed more deep help instead of generally all over the masses. I definitely recommend it, definitely with the non profit sector. A huge business problem was the online fundraising aspect, and this software helped the donor with so many more options than I needed. It enabled a variety of features to be used throughout and gave a beautiful understanding of what and how I can pursue my campaign goals efficiently. Make sure you are comfortable using a software that is NOT user friendly and learning a lot via googling things, also know HTML for this. This is not very user friendly but you can figure out a lot of stuff on your own. "The data is great, the user experience needs work." That the data integrates seamlessly with our database. It is also somewhat convenient for me personally that the email designer allows you to just manipulate the whole code because I can "hack" it to do what I want, but I have higher than average html and css skills. That we don't have the ability to see exactly which people clicked on which link, that we can't query emails based on email date, that using the standard email editor tools makes some seriously ugly code. We are able to make our email design more visually and mobile friendly by manually manipulating the email code each time we create one, but it gets old and of course some things fall through the cracks. The ability to immediately see every email that we have sent to someone on our database of record and whether they have opened or clicked on it is a great benefit. The data is clean, but still has some barriers that make things a little annoying. Straightforward interface, easy to navigate, vast functionality. System bugs with updates, WYSIWYG less intuitive than other editors, HTML coding can be a bit wonky. BBNC allows our institution to reach our constituents in a variety of manners while also tracking analytics on how our messages are doing, ROI, open rates, etc. "Excellent Customer Service, - Straight Forward instructions"
I liked the functionality and easy of linking with Toptix. Additionally, the deployment of the software was pretty seamless. Management of mass emailers are good as well. The fact that it's built on ASP is a plus in my book. Trying to work with this program over a VPN is not the greatest. Slightly sluggish response but that also is partly due to the ISP. If you're not a technical person or do not have IT staff, you will need to have someone come in to manage the installation. Definitely get in with their support crew at Blackbaud and really treat them well. you treat them well and they'll treat you well. Make sure you have tech staff readily available if you have a question that you don't know how to ask Blackbaud. They can facilitate your needs for you. The ability to keep everything all in house and incorporated. Having the ability to steer clear of utilizing external emailers is one of the best things, hands down. "Great database, OK everything else"
If you're looking for a solid database that'll scale with your organization, then this is a great option. If you're looking for a more all-in-one CRM platform, this may not be for you. Like a lot of systems that have been around for a while, it offers a solid core function with a lot of features stapled on based on requests over time. Technically it all works together, but it's not always pretty or intuitive. Explore Blackbaud's options. They have newer platforms rolling out that may provide you the variety of tools that will work best for your organization. The database management allows you to run reports and dig into data any number of ways, which can be very handy for segmenting and analysis. I like how user friendly this software is compared to our previous CRM software. It is much more counter intuitive and easy to use. At this time, I’m but sure if there is anything specific I dislike. I am working on understanding all aspects of the software and so far it seems easy to use and figure out. This is a streamlined way to manage communications and relationships with all constituents across our organization. It allows one place for all donor, volunteer, and constituent management. "could be updated but very user friendlt"
It's very user friendly, I feel like I did not need much training and it does what it's supposed to. It's super user friendly and has great support but like I said I think that it is capable of doing so much more. they are of course knitty gritty things but for our registrations it would be nice to have other options. We use this from an alumni relations relations standpoint, I wouldn't say there are business problems are business problems we are solving but the benefits we realized are just how easy it is for us to use for our registrations and sign ups. "Initial impression of Net Community -- donation and event form setup"
The actual forms are easily setup via simple clicks. Language on the forms is usually customizable. Because most items are simple clicks, the forms are very constraining as to control over the display of the items. Some language is not customizable. All information collected via a form is not available for display in a notification or acknowledgement email. I dislike the initial cost and the hidden costs. Many features that I would assume to be available are available with an additional cost to setup. The newsletter construction interface is very cumbersome. They did not have a 'sandbox' available before purchase, to know what you were getting. Before considering this product (net community), be sure you know what you are getting and what you need. Because there was no sandbox to explore before purchase, there were a lot of surprises, some good, some not. I would have expected a sandbox with a solution so expensive. If you don't initially see a feature, be sure to ask, not only if the feature is available, but if it has an extra cost. The cost wasn't always mentioned when the question about availability was asked. The online chat is very convenient, and mostly knowledgeable. One instance did have to be escalated, but a personal phone call was received within a short time. The problem wasn't solved in the phone call, but an additional phone call with the answer was promptly received. Consider sending only small or infrequent newsletters through the system. That interface is minimal and cumbersome. They will set you up with a 'customized' website for the netcommunity donation and event forms. It is very easy to change the customized template they setup, if you know some html/css. That was a nice surprise. The webpage template they construct is not responsive. However, with a little digging, there is another template that can be constructed for 'mobile'. It is more rudimentary. There was no way to create a form if it wasn't a donation or wasn't an event. They suggested we buy another of their products, so we are still using another system for forms that aren't donations or events with a registration. These comments are only about the setup of default webpage, donation and event forms and newsletters through Net Community. I don't work with the data after it has been submitted, so cannot comment on that. The person using Raiser's Edge does not have as much work to do to add info from our forms and donations into Raiser's Edge. We were looking forward to tracking opening percentage of newsletters sent through the system, but have currently put that on hold due to cumbersome newsletter construction interface. BBNC hooks up directly to our Rasiers Edge database. BBNC is very outdated. It is not user friendly and you have to know a bit of coding to get your emails looking somewhat decent. Benefits include ability to email our database/connects to RE for a direct import. "Great platform for email communication and secure online portal"
The integration with Raiser's and Education Edge is fantastic. We can send to a dynamic query, and not have to touch anything - it will exclude people who requested no email, use the updated preferred email address, and so much more! It is difficult to make significant changes to the website...but that also comes with the benefit that the pre-built website parts are generally rather strong. It is an excellent email provider, which saves a lot of time loading lists and re-formatting emails. I appreciate that Blackbaud Net Community has multiple functions that allows my team to manage our website, event, membership, and other registration forms. I do not like that the event forms do not allow for custom questions and that credit card information for monthly pledge payments is not stored so we have to do a low of follow up/collections work. We are trying to comprehensively manage our alumni and their connections with the institution. I have not really noticed any benefits that are unique to Net Community. I don't think there is any aspect of this product that I really like. Email capabilities don't offer WYSIWYG mobile friendly options. NetCommunity needs to pick up the pace. I've used Mailchimp and Constant Contact and in regards to designing emails, they are no competition for BBNC and are miles ahead. It integrates with Raiser's Edge, which is a necessity. Since NetCommunity is owned by Blackbaud, we only have to go through one company to have an online giving solution. Unfortunately for NetCommunity, the integrated solution it provides is woefully inadequate. It's a bully when it comes to data, overriding what's in the database, taking absolute control away from the users. The donation pages are build with a version of HTML and CSS that are two generations out of date, and the donations pages look old as a result. An added problem with donation pages that look old is that they also look less secure to the donor. The process of updating the donation pages is buried within a cumbersome user interface. Don't. NetCommunity fails in providing all of the benefits its boasts about. As a database administrator, I'd rather enter the information into Raiser's Edge off a spreadsheet than the BBNC integration tool. As someone who believes in and promotes my organization, I'm embarrassed by the quality of the donor facing portions. Online giving isn't difficult any more, and there are many companies that not only handle the technical logistics of an online giving page, but also the design, strategy, and leg work for the same price. We've been expanding out online giving, and we currently use two other companies to provide different solutions. NetCommunity is not solving any problems that the other two products don't solve more easily. It integrates with the Raisers Edge system. It has a terrible layout and is difficult to work with. You're better off sticking to Wordpress or even Drupal and/or Joomla. It's sole benefit is that it integrates with Raisers Edge. Simplicity of email blasts in one shot. Not just a few, but over 20,000. The formatting tools of the email editor. They are not as easy to use as one would expect. I think there are some bugs that still need to be worked out yet. I do think that there is a lot that could be done, they just need to develop it a little more. I like the ability to personalize emails to what our group is trying to get across. You couldn't do that with the last system. It can be a bit restrictive in what kinds of colors you use and how to upload photos. "It has Pro's and Con's"
A full featured website that allows for document repository. "Might be a great product if it was 1995"
Ability to capture data and have it stored in one place. Awfully manual to record simple data. Not entiret reliable in communcating with front end user. We are able to organize applications in a way we are able to review applicant status in one place. It offers a solution to less paper. "Very robust, but difficult to Support"
The amount of features, and the great technical support. It's a great tool for a school when having to manage student enrollment as well as family information. "I have been using this software for two years." I like that I can enter event information and post it on our website without waiting on someone else to develop the page. It can be a bit clunky at times and isn't totally user friendly. I would recommend this software to others who don't want to spend a lot of money on marketing. I can get information posted quickly so that we can get the information out to the community faster. It saves us money by removing the "middle man". The product is not as advertised and has too many issues to report. As a result I do no wish to list any benefits or positives. "It is good solution for not profit work "
It is very good although it can be improved with the automated marketing and other tools that competition has. We are using it with the integration with RE for the marketing. * We monitor all NetCommunity reviews to prevent fraudulent reviews and keep review quality high. We do not post reviews by company employees or direct competitors. Validated reviews require the user to submit a screenshot of the product containing their user ID, in order to verify a user is an actual user of the product. Hi there! Are you looking to implement a solution like NetCommunity?